KIRKUK, Iraq -- The conflict in Iraq has taken a new turn, with the entry of Sunnis who are taking up arms to fight alongside the Islamic State of Iraq and Syria (ISIS) and are beginning to attack the Kurdish army in the north of the country. On the border of Iraqi Kurdistan, some of the Sunni militants are pledging allegiance to ISIS, while others are fighting independently simply because they want Prime Minister Nouri al-Maliki out of power. Like their fellow Sunni Muslism in ISIS, they are vehemently opposed to the Shia-dominated government in Baghdad. With the increasing number of people joining the fight, leaders of the Kurdish militia, the peshmerga, said it is becoming increasingly difficult to know who they are fighting. And without this intelligence, the Kurdish army is having a harder time protecting the borders of what has become over the years the near-state of Kurdistan. The peshmerga know that ISIS fighters can be spotted easily by their black face masks and clothing. Other Sunni militants, though, dress in plain clothing and live in the villages around Kirkuk, among the local population. It is not known how or if these Sunni militants have legitimate connections to the ISIS financial network and command structure. 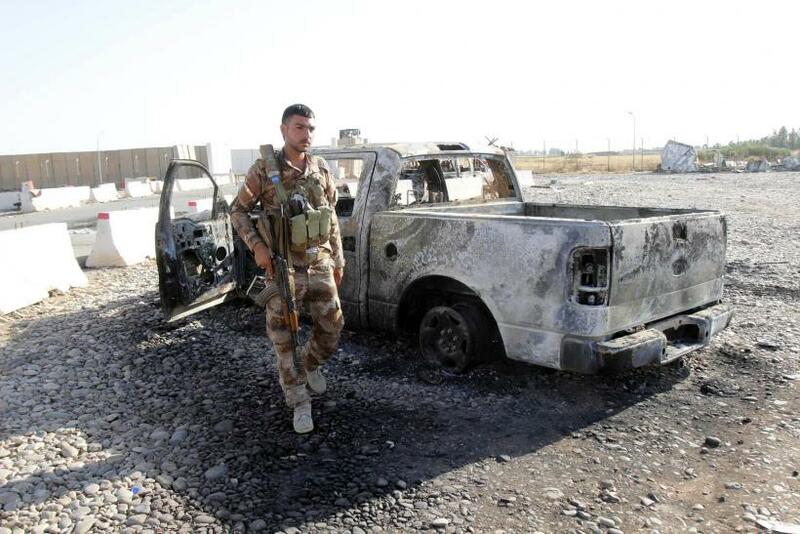 Over the past three days Kirkuk and the surrounding areas also experienced attacks that the peshmerga failed to stop. On Monday three car bombs exploded in the center of the city, and on Tuesday Sunni militants attacked the town of Basheer, killing eight. Later in the day ISIS shot at a peshmerga convoy near Tikrit, wounding one. Despite the attacks, locals here still think that their army will be able to protect them. “I will become peshmerga if ISIS comes here,” Ali Hidaiat, a watermelon seller outside of Tuz Khurma, said. “We only want peshmerga here,” his son, who was helping him sell the fruit, said. The Kurdish military has garnered significant support from its population; Kurds are proud that ISIS has yet to make gains in their region, which has been semi-independent since after the U.S. invasion of Iraq in 2003. But attacks this week on the border could weaken the peshmerga. ISIS, which claims it has ties to al Qaeda, but has been disowned by the group’s leader Ayman al-Zawahiri for its brutality and extremism, has taken over checkpoints and bases in border cities including Tikrit and Mosul, and has set up wooden posts from which to wave the group’s infamous black flag. As the Iraqi military launches counterattacks on areas controlled by ISIS, thousands of Iraqis are fleeing to Kirkuk in Iraqi Kurdistan, and peshmerga officers said they think many of the Sunni militants are mingling with them. 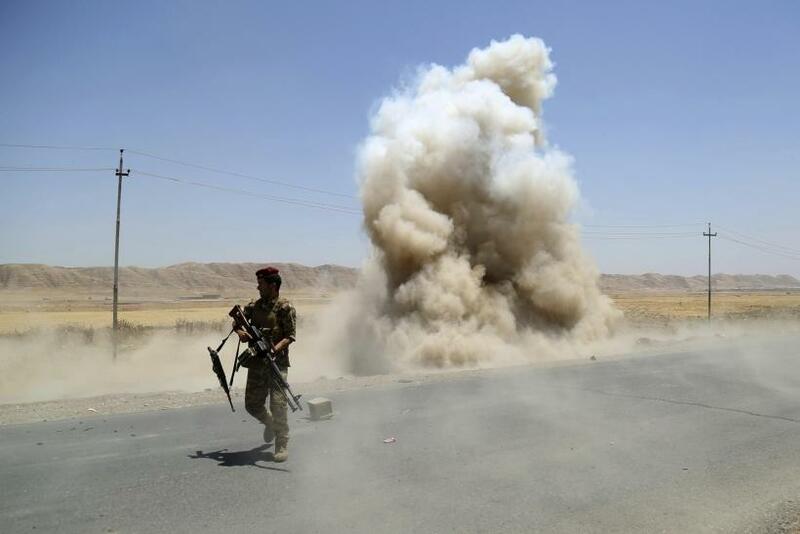 Following car bomb explosions in Kirkuk on Monday, the peshmerga closed the border from Tikrit to Kirkuk temporarily. They feared the car bombs had passed through the checkpoints. Peshmerga officers said they also worry Maliki supporters, mostly Shiites, will attempt to enter the region and take back Kirkuk, which the Kurds occupied last week as the Iraqi army fled the ISIS advance. The Iraqi government has long wanted control of the city’s oil-rich hinterland. If ISIS defeats the peshmerga in Iraqi Kurdistan, the group will have achieved its goal of establishing an Islamic caliphate encompassing Syria and Iraq. It would control a massive amount of land in northern Iraq and eastern Syria, which would strengthen its ability to fight in both countries. But they would be occupying militarily a region known for its fierce fighters. “We are Kurds, we will protect Kurdistan will all of our souls until we die,” one soldier in Kirkuk said.